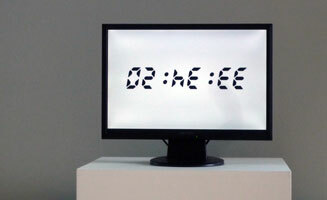 Our Flipped Clock is showing as part of the 24/7 exhibition -part of this year's International Film Festival Rotterdam. You will find it for the duration of the festival in the lobby of the Hilton Hotel at Weena 10, 3012 CM Rotterdam, Netherlands. Our video artwork The Time Machine in alphabetical order is part of the group exhibition How to Construct a Time Machine at Milton Keynes Gallery from 23rd January until 2nd March 2015.